Add some prints to your wardrobe with this smock dress. 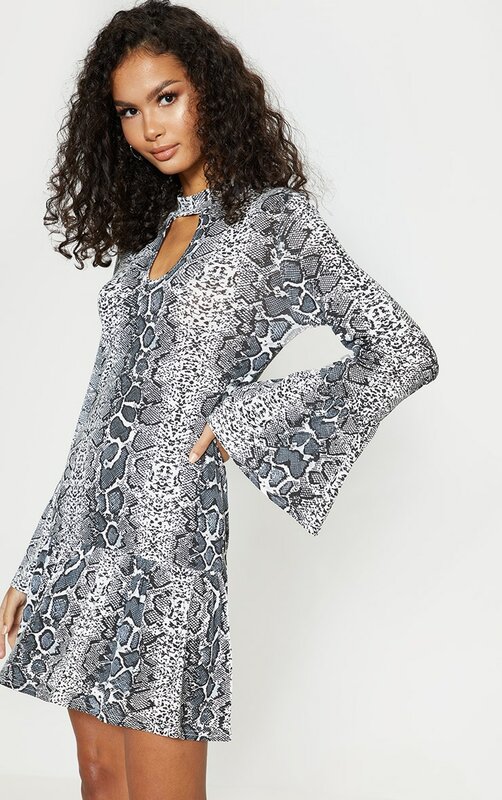 Featuring a grey snake print material with a key hole detail, long sleeves and a frill hem. Team this with ankle boots and a mini bag for an off-duty look we are loving.